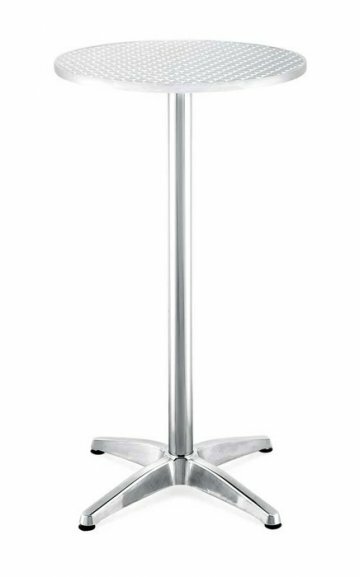 We supply Adult table and Chair Hire as well as Kids Table and Chair Hire in Melbourne with different designs and colors to choose from for your event. 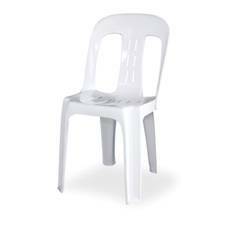 Our quality of products when it comes to Table and Chairs for your event is second to none as we provide the service throughout Melbourne so we have you covered when your event or party is on! 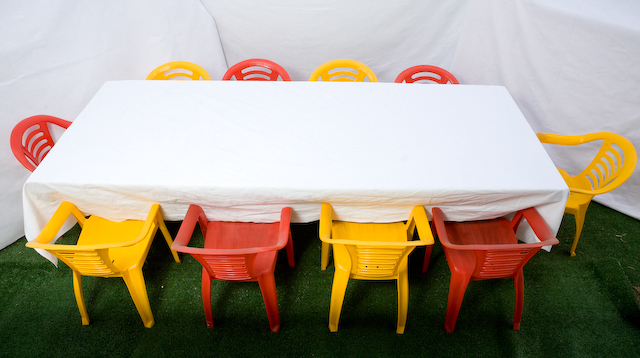 At OMG Party Hire all Tables and chairs are washed before every event and delivered right to your door with also allowing you earlier delivery to take place so you have the time to set up you Tables and chairs for your up coming event. Extra discounts apply if your order is over a certain amount which also includes free delivery if the order is over $150 in hire items or your welcome to pick up yourself from our Hallam store. 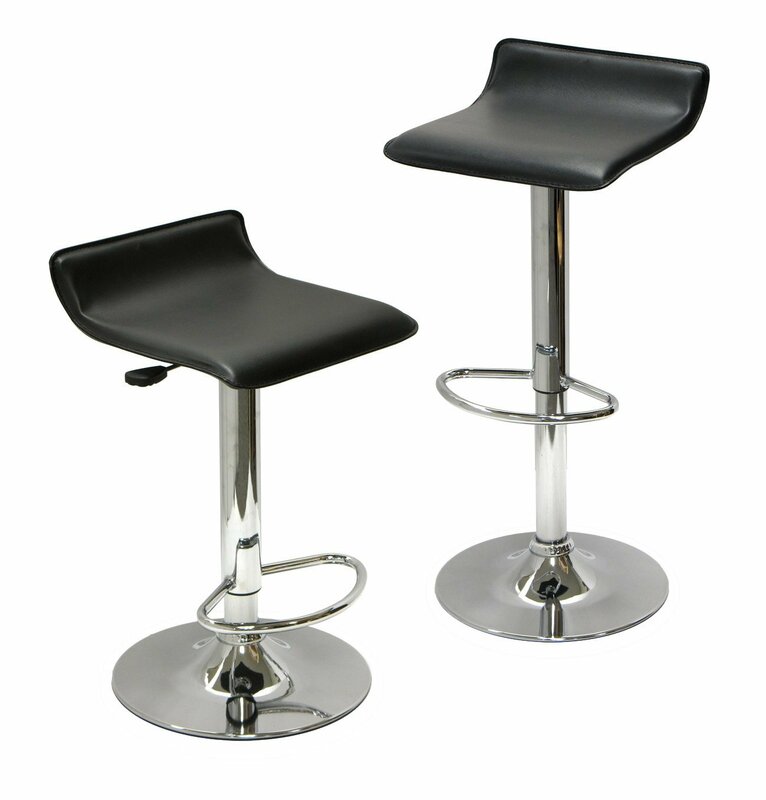 We even cater for Bar Table Hire and Bar Stool Hire in Melbourne so we all love to have standing around and having a friendly chat over drinks . 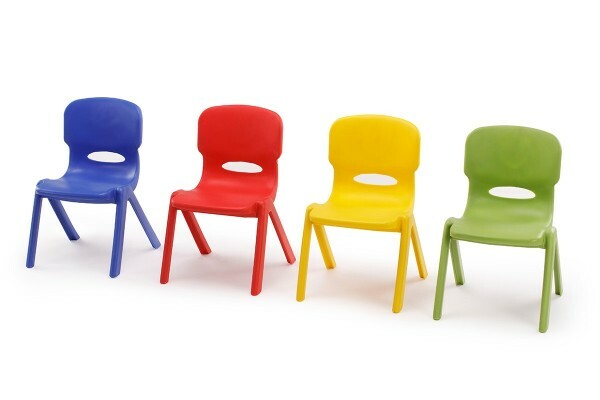 Our Kids Chair Hire range also comes in colors as all products are made to Safe Australian Standard . At OMG Party Hire we’ve got you covered in Melbourne for any type of Event or Party . 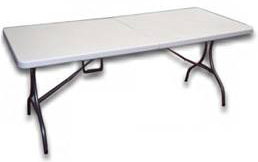 Trestle table with legs that fold and lock into place. 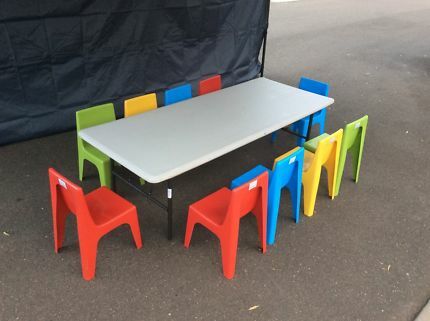 fits 10 around table !